Daydreaming, Ariel? Princess Ariel wants to be where the people are. This colorful piece inspired by the classic Disney movie The Little Mermaid. This charming statue features Princess Ariel dressed in a green dress. 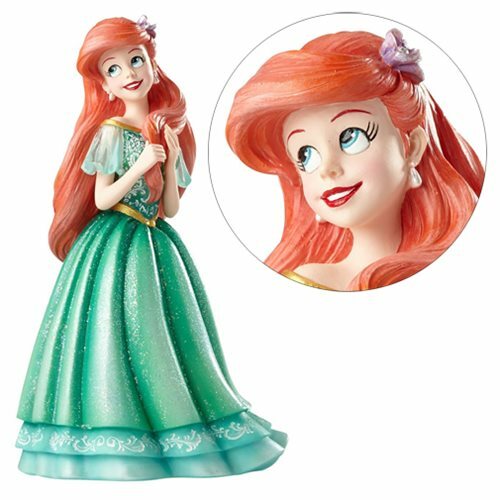 The beautiful Disney Showcase The Little Mermaid Ariel Statue is made of stone resin. Measures about 8-inches tall x 4 3/4-inches long x 4 1/4-inches wide. AGes 15 and up.